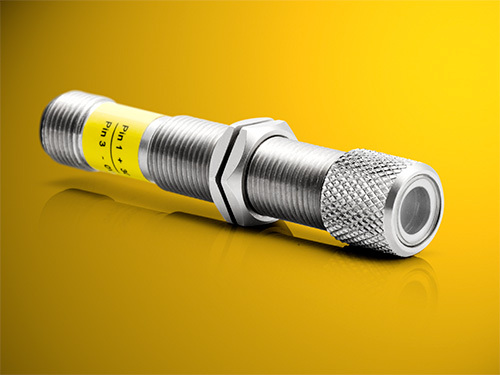 The FLEXPOINT®ILM12F laser module has always been robust; and now the ILM12IP version is virtually indestructible. This new housing complies with protection class IP67. This means that even the finest dust cannot penetrate it. It is also safe from exposure to water. Half an hour of submersion does not affect it. TÜV tests according to DIN-EN 60529:2014-09 have confirmed this. All in all, this means that the ILM12IP can easily withstand the weather conditions at construction sites or outside facilities. With its M12 external thread made of stainless steel, it can be screwed in and connected quickly and easily. This makes it the perfect tool for aligning machines, for adjustment work, and for positioning (e.g., when aligning a drill with a workpiece). The module is available with a green (520 nm) and a red (635 nm) laser. The focus of the IP version can be set at a fixed distance or collimated.